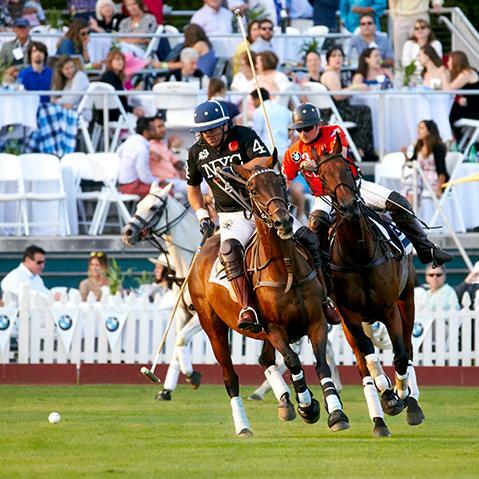 Season XXVII of the NBC10 Newport International Polo Series, Presented by BMW will feature Newport vs. New York vying for the inaugural Clarke Cooke Cup on August 25th, 2018 at 5pm. The legendary Clarke Cooke House is a multi-layered feast and iconic Newport experience. The 18th-century colonial building offers fine dining in romantic elegance on the Porch high above the assembled yachts, or casually at harbor level in the Candy Store. As the polo player's entertainment headquarters in downtown Newport, its dining rooms & dance floors have hosted team dinners and celebrations longer than anyone can remember. To inaugurate the Clarke Cook Cup, a representative from the Clarke Cook House will present the trophy to the triumphant team at the conclusion of the match! During the match, a weekly door prize drawing, courtesy of Opt Eyewear Boutique of Providence, and a prize for the Best Tailgate from Stella Artois will be awarded. Specialty vendors and concessionaires will be present in the Hospitality village at the polo grounds, including the Twisted Pony Cocktail Bar, Horseshoe Wine Bar, Newport Polo Pro Shop, Brahmin among others and gourmet food trucks. For details about concessions & amenities, venue and other information, use the About Newport Polo link in the Menu bar.